This is the award-winning biography of the King of the Beat Generation. Jack Kerouac's writings, including his extraordinary novel On the Road, took American literature to new levels of creativity and in the process, inspired unprecedented social and cultural change. 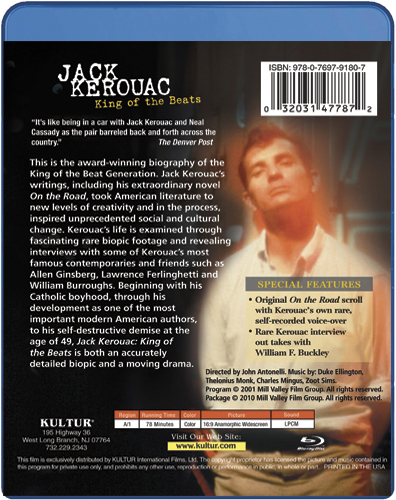 Kerouac's life is examined through fascinating rare documentary footage and revealing interviews with some of Kerouac's most famous contemporaries and friends such as Allan Ginsberg, Lawrence Ferlinghetti and William Burroughs. 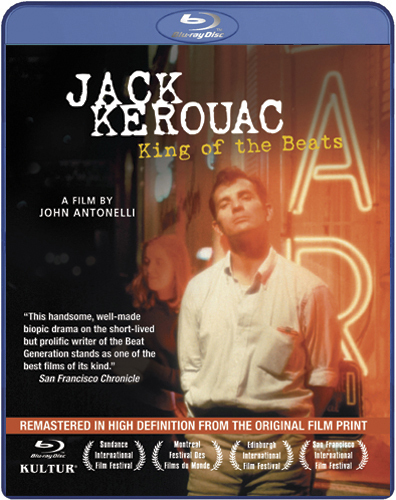 Beginning with his Catholic boyhood, through his development as one of the most important modern American authors, to his self-destructive demise at the age of 49, Jack Kerouac: King of the Beats is both an accurately detailed documentary and a moving drama.